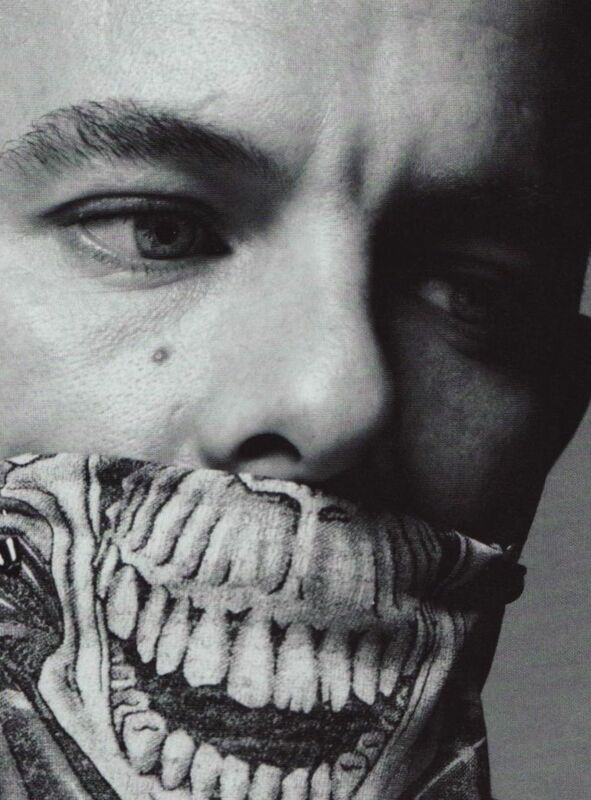 Lee Alexander McQueen, we have not forgotten you. We may not have been personal friends, but what you brought into my visual and emotional consciousness was very personal, indeed. Your art was not on canvas – but on us, mere humans – who became better beings in your clothes. Your art spoke to us. And still speaks to us. It is emotion, well worn on our sleeves – along with our heartfelt love for you. Love that lingers each time we see the intricacy of an embroidered bodice; each time we notice the infinite thought behind a buckled, zardosi-embellished, asymmetrical cape that we can only be in awe of; each time we think of the soul behind that depth of thought. Words like genius, brilliance, artist are just not good enough. You were always beyond words. You were always other-worldly. My heart is still broken that you are no longer physically part of ours. Words like tragedy are just not good enough. The man behind the mask: Mr. McQueen. Photo by Inez and Vinoodh, courtesy of L’Officiel.